The Flesh Eaters are one of the most important bands to emerge from the Los Angeles punk scene. They never reached the status of their contemporaries in X, The Gun Club, or Black Flag, yet they are no less important. In 1981, main Flesh Eater Chris Desjardin’s (aka Chris D.) assembled John Doe and DJ Bonebrake (of X), Dave Alvin and Bill Batemen (of the Blasters), and Steve Berlin (who would go on to join Los Lobos) to record the seminal album A Minute to Pray, A Second to Die. More than 35-years later, the same line-up returns with I Used To Be Pretty. 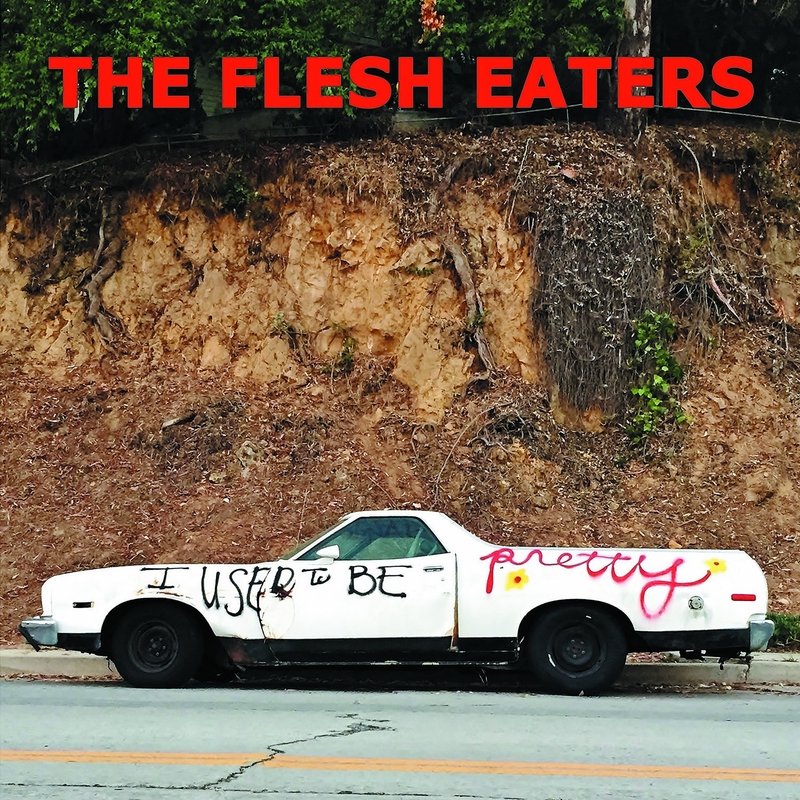 Across 11-tracks, the album includes two originals, three covers, and six re-recorded versions of select tracks across the Flesh Eaters discography. The re-recorded tracks are more than just new recordings of past glory, rather since the band reunited in 2015 for select shows (and more shows in 2018), these songs were resuscitated by the pure electricity found in their live performance. “House Amid the Thickets,” “My Life to Live,” “The Youngest Profession,” “Pony Dress,” “The Wedding Dice,” and “Miss Muerte” aren’t just paint-by-numbers re-recordings, but have slightly different arrangements and instrumentation. The results are quite satisfying. The band sounds charged and the recordings feel exciting, not unlike the first time you heard the band. Likewise, the covers are appropriately placed. Chris D. produced the Gun Club’s “She’s Like Heroin to Me” on their 1981 debut Fire of Love. Considering his close connection to the song, and that he’s often covered it live, it makes sense for it to appear on I Used To Be Pretty. The Flesh Eaters version won’t be considered the definitive recording of the track, but it’s still totally awesome. Chris D.’s vocals pull on the lyrics at just the right level of tension. “Cinderella,” a 1965 single by The Sonics, has long been a staple in the Flesh Eaters live set. Finally recorded by the quintessential Flesh Eaters line-up, it’s a welcome addition to the album. “The Green Manalishi” is a hypnotizing cover of the original by Pete Green’s Fleetwood Mac. As the track circles the sky like a murder of crows, the band sounds as if they’ve been playing it live together everyday over the last 38 years. Of course, they’re all incredible musicians, so this isn’t a stretch. The two original songs, “Black Temptation” and “Ghost Cave Lament” are instant classics. “Black Temptation” opens with a meditative marimba and mid-tempo guitar riff as Chris D.’s haunting vocals stretch out over a languid saxophone line. Soon enough, things kick into high gear as the band merges their punk/rockabilly styling’s into a razor sharp cut. “Ghost Cave Lament” is a sprawling epic of an album closer. Clocking in over 13-minutes in length, it might be one the band’s most ambitious songs from any decade. The song highlights each players talents, with Chris D.’s lyrics standing in the forefront reminding everyone why he’s among the most respected writers in punk history. I Used To Be Pretty is a great starting point for anyone wanting to scratch the surface of The Flesh Eaters. From here you can work your way back through their discography and discover everything it is that makes the band so special. The band just kicked-off their tour (dates below). If they’re coming to your town, don’t miss it. The Flesh Eaters play Dallas on February 24th at Club DaDa. Stay tuned for our preview and interview w/ Chris D.